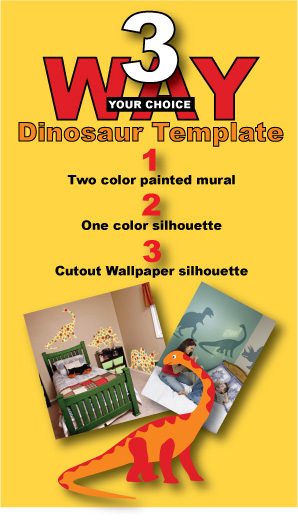 I’d like to show you a simple idea for you to create a dinosaur mural for your child’s room. 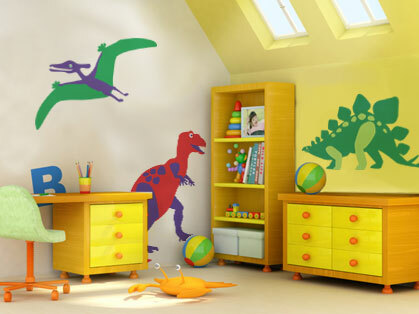 Paint a series of your favourite dinosaurs in one colour to suit the colour scheme of your child’s room. Go as pale or as dark as you wish. Try a tone just slightly darker than the wall colour for a pleasing subtle effect. You can either find your own dinosaur shapes and enlarge them on a photocopier. Rub the back of the paper with a coloured chalk and trace over your design to transfer the pattern to the wall. Alternatively, you could use one of my ready made dinosaur mural template kits which come in two sizes and have carbon paper to fit to trace onto the wall. Take your simple dinosaur shape. Make the legs and some markings on the body a second colour. Trace onto the wall and paint . Again, with this option you could either find your own dinosaur shapes and enlarge them on a photocopier. Rub the back of the paper with a coloured chalk and trace over your design to transfer the pattern to the wall or alternatively, you could use one of my ready made dinosaur mural template kits which come in two sizes and have carbon paper to fit making it quick and easy to trace onto the wall. Choose a lovely wallpaper. Trace the design onto the back of the wallpaper, then cut out the shape and paste it onto the wall as per the instructions of your wallpaper brand. 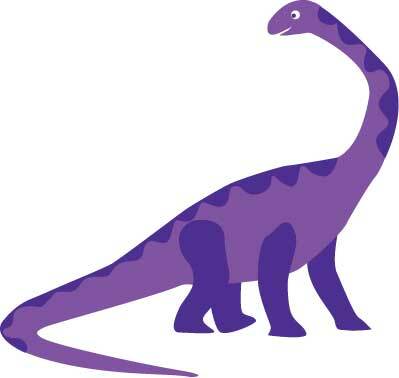 My ready made dinosaur mural template kits come ready with carbon paper to fit making the tracing easy. They are designed to fit on an average width of wallpaper. The large sizes will fit on two widths of wall paper. Choose one or more of your favourite dinosaurs or use our kit with three dinosaurs templates included. The kits come with a large paper pattern, transfer paper to fit and instructions. A while back I did a post on ideas for a ballet room theme. 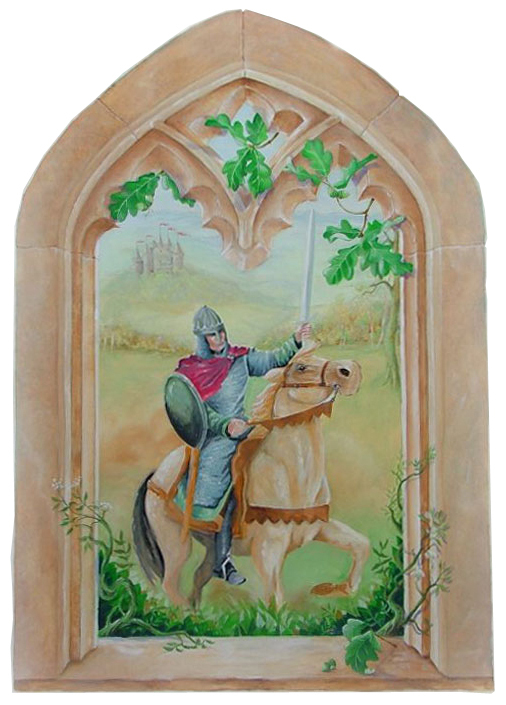 I’ve updated it with some new mural ideas that we have available at the Magic Mural Factory and Wallstory Murals. 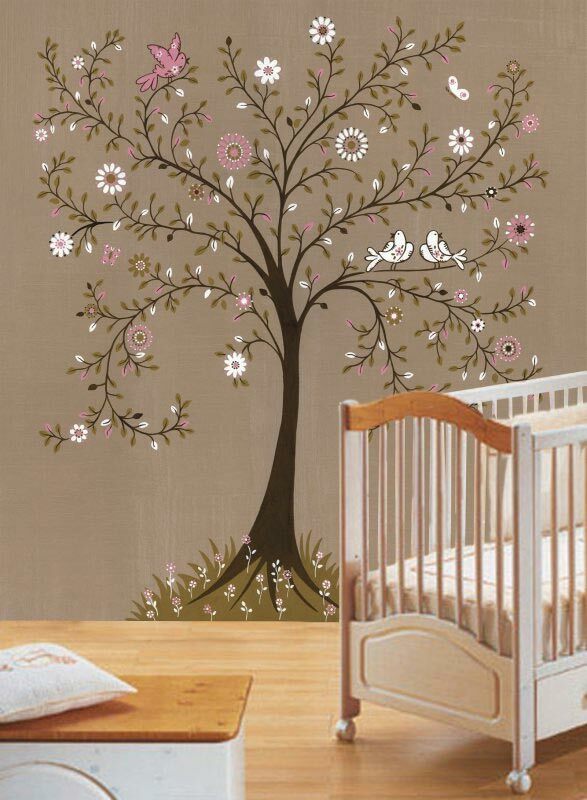 Spring is on it’s way and I’ve been thinking about tree murals and decorating children’s rooms and nurseries with a tree theme. I’ve found some lovely ideas that might inspire you to do the same for your child room. The theme is gentle and timeless. Depending on the style you choose, the look could be equally at home in a baby nursery as a child’s room. and then there’s ideas for other tree themed elements that you could incorporate around the room to tie the theme together. 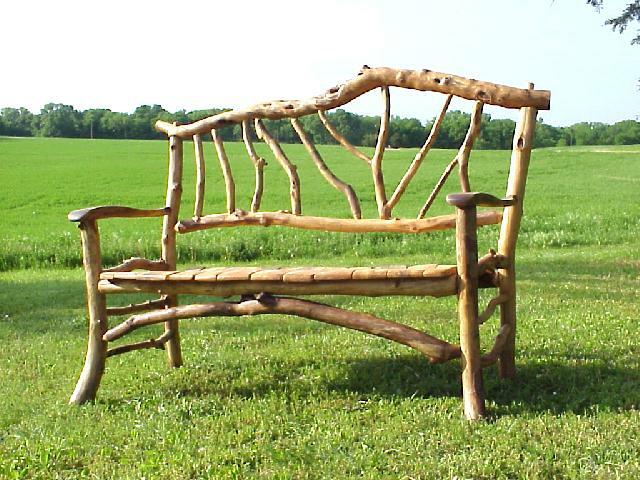 Imagine this this rustic tree bench in your tree themed room. 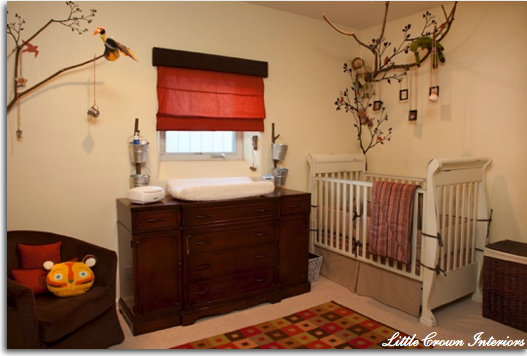 This nature-themed nursery was created for a client in Southern California, and features floor-to-ceiling custom items. 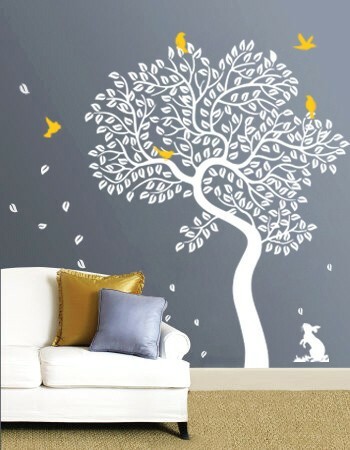 The real tree branches, mingled with the tree and bird decals, are truly a spectacle! 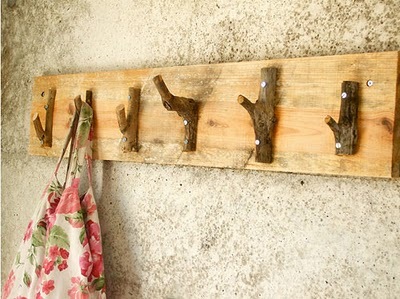 Over the changing table, tree branch hooks carry cute little buckets to put all those bits and pieces needed for changing nappies (wipes, diapers, etc…). 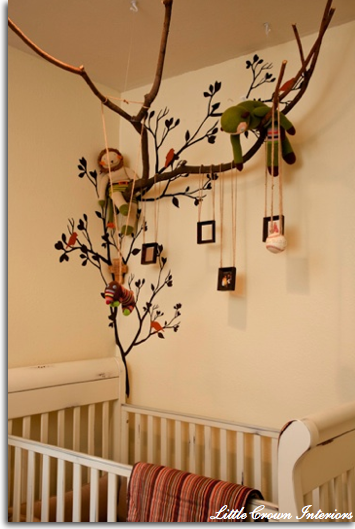 Tree decals combined with real branches suspended from the ceiling create a place to hang little pictures and toys above the crib. There doesn’t seem to be any instructions on how to make this so here are my suggestions. Go for a walk in the country side and find yourself a lovely stick. Make sure it is the correct width for your window plus some extra either side of the window. Try and find a stick that is quite dry. 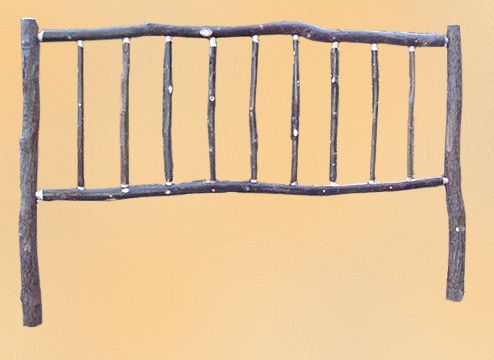 Paint the stick with an undercoat and then spray or paint it any colour you wish. 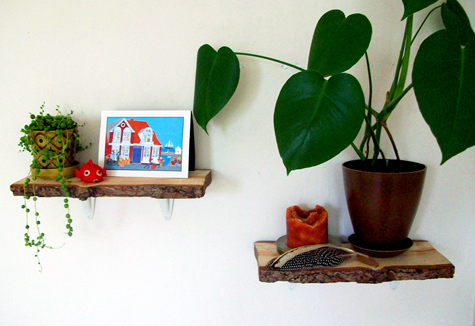 Use an acrylic paint intended for woodwork. 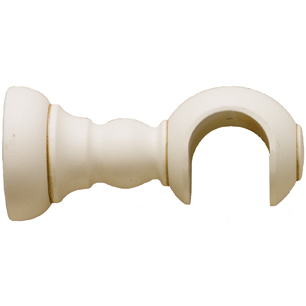 Purchase two curtain pole brackets that come in various shapes and forms. Like this one below for example. 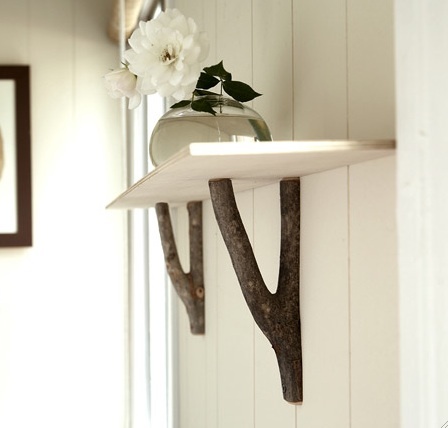 Attach the brackets to the wall add your painted branch and all that’s left to do it attach your curtain. 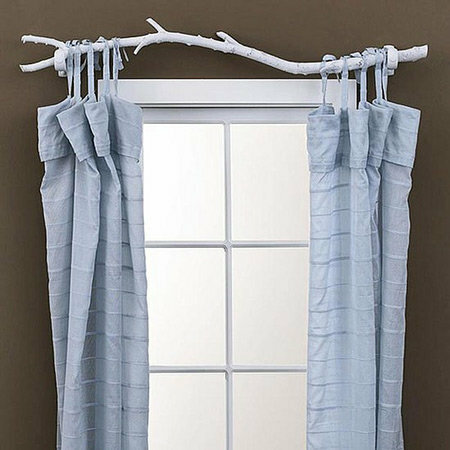 Please note that because the branch may be twisted and ‘branchy’ you will might find that tie on curtains like the one in the picture above will be easier to install. 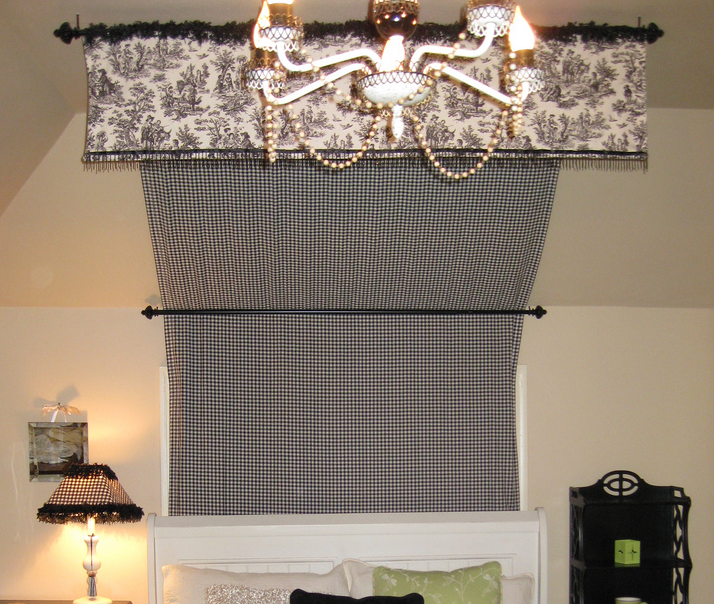 These curtains are better left open as a decorative feature rather than a functional curtain. A blind on the actual window would be advisable to use in conjunction with the curtains. I think this is charming and simple. I found it at Live Wire Farm . If you are a bit handy I don’t think it would be difficult to recreate the same idea. Find two appropriately shaped branches. Cut the back of each one flat so that they can be screwed flat against a wall. Make sure that the tops are cut flat too so that your shelf can rest flat on the top. 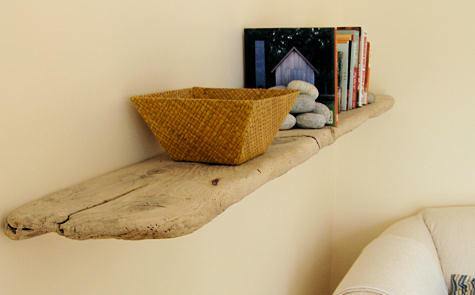 Some more rustic shelf ideas to compliment the tree theme. I spotted this one on Design Sponge. There are some instructions there too. 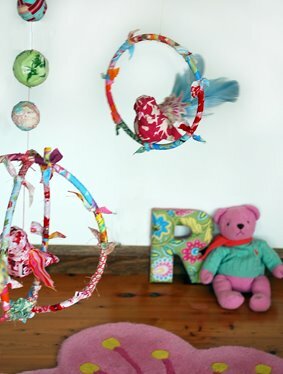 Hang pretty flowery bags on the hooks to store toys or other bits and pieces, or simply hang coats on it! 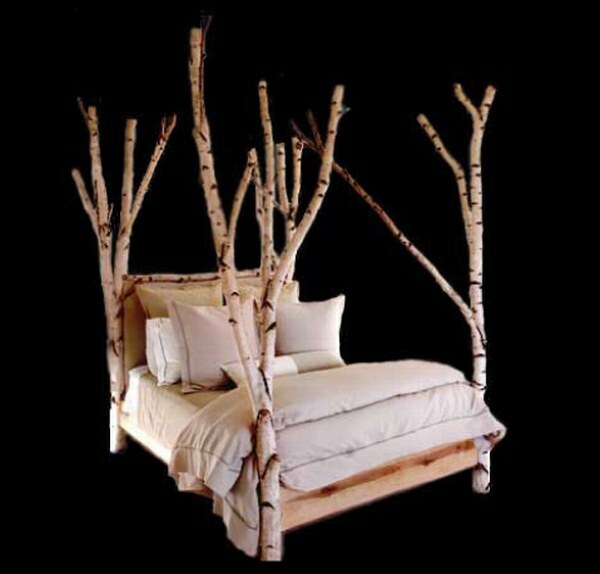 When I look at these beds, I think that with a little bit of thought you could make something similar. 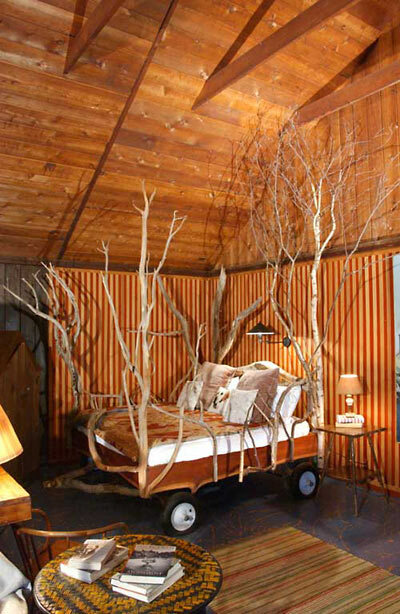 What’s to stop you screwing some lovely branches like the ones above to an existing bed to turn it into a tree themed four poster bed? 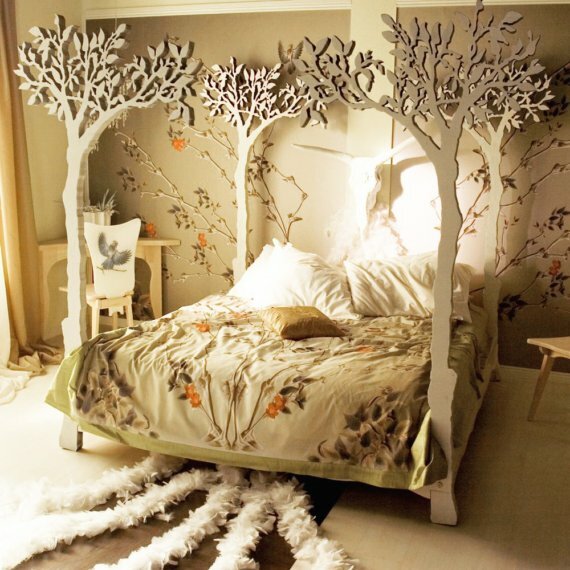 Or how about a canopy above the bed substituting the pole for a tree branch? This post is becoming too long!! The more I research the more ideas I find, so I’ll stop here and do some separate posts on tree themed bedding, rugs and soft furnishings ideas. his nature-themed nursery was created for a client in Southern California, and features floor-to-ceiling custom items. 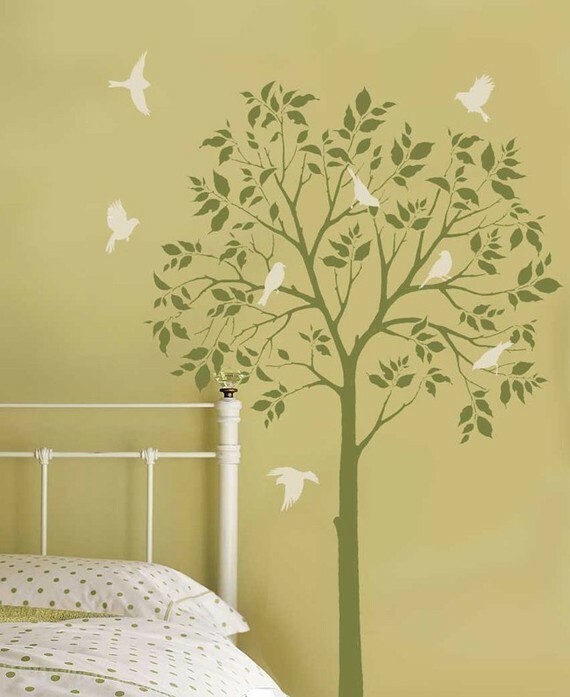 The real tree branches, mingled with the tree and bird decals, are truly a spectacle! 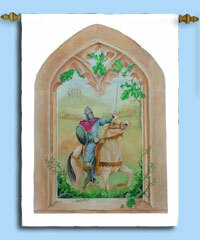 I have two beautiful children’s wall hangings for sale. They measure approximately 90cm wide x 150cm high. Acrylic on Canvas, hand painted by Fiona Paterson. Mural artist and illustrator. 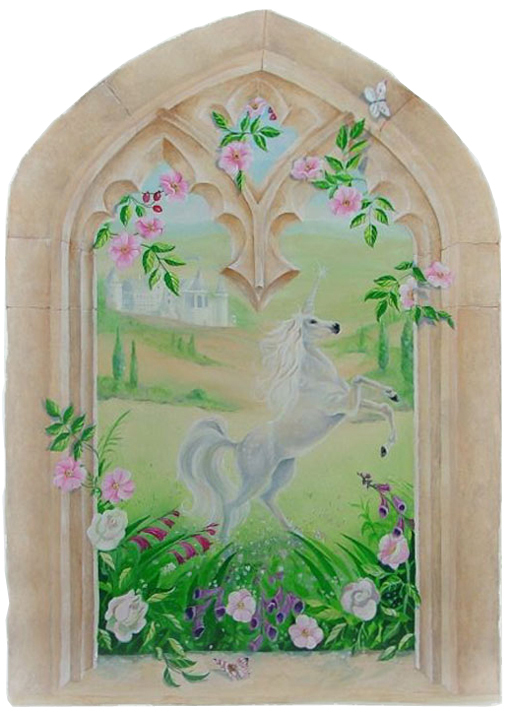 Beautiful detail, an original painting your child will treasure forever. If these are of interest to you, please contact me by leaving a comment. 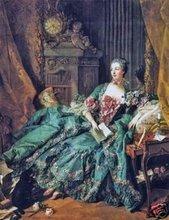 These are unique paintings, there are only these two, so don’t wait too long, you may miss out! 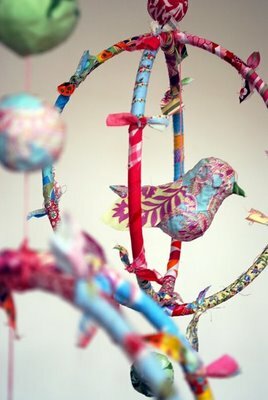 I just love anything to do with birds when it comes to decor so I thought I’d share this bird mobile project with you that I can across today on The Red Thread. I’ve featured a bird mobile before here, but this one is so cute too, and worthy of note. Make it as a gift for a baby shower or create it with your child using up old scraps of fabric. 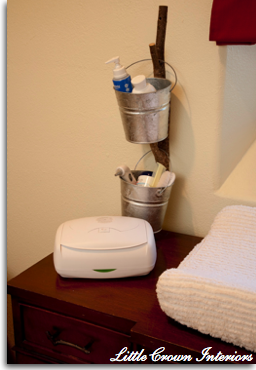 A great rainy day project that can be done in stages if necessary for your own child’s room. Mind you it’ll be just as lovely in an adult room too or hanging in a tree on a warm evening amongst some fairy lights. children’s wall art you ever did see! 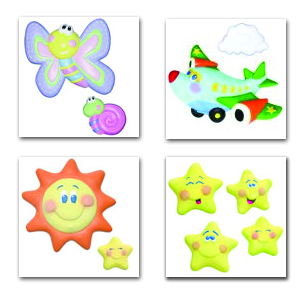 Wallables are 3 dimensional sculpted wall décor products made out of soft polyurethane foam, whose bright colours and soft textures not only look great as a decor feature in your baby nursery, but they also encourage your baby to touch and explore the different surfaces, teaching your baby to interact with their invironment. Wallables also come in a new Alphabet series. When touched Wallables play music, teaching babies cause and effect’. This 3d nursery wall art is made of a lightweight material which is soft and flexible and allows them to be placed above cribs or beds without any worries. Wallables are very safe and have passed both the ASTM and CE toy safety standards for all countries. I’m planning to work on some new interactive mural ideas that combine hand painted murals you do yourself with Wallable characters and Alphabet letters. Watch this space or leave a comment on interactive ideas or themes you might like to see me create. The lovely people at Wallables are giving away..
Max is now a collectors item as the Wild thing series is no longer being produced! You will then automatically be entered into the Wallable Giveaway. Wanna gain extra entries for the giveaway? Don’t forget add a comment for each thing that you do. 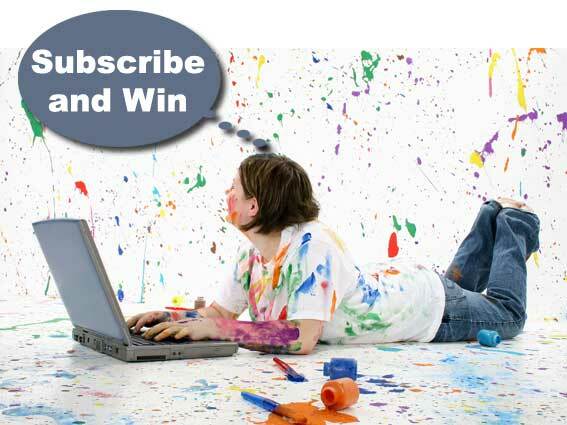 Last date for entries to win the Wallable Characters is Midnight Friday 24th July 2009. The winner of the Wallable Giveaway will be picked at random from a hat and announced on Monday 27th July 2009. GOOD LUCK – Get entering! I put all your entries into a cardboard box hat and my daughter has pulled a name out. I will email you with the details I need to send you your tree mural. 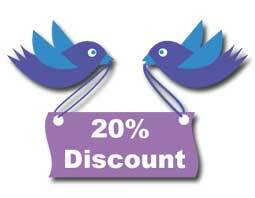 If you haven’t received your 20% discount voucher yet, please let me know. Ooh! Ooh! And by the way! for use on Wallstory Murals to all new subscribers until the end of April. I’ve been working like a dog hard on making this blog a useful and interesting resource for those of you interested in DIY decorating children’s rooms. 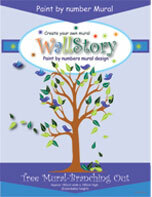 A FREE GIVEAWAY prize of my TREE MURAL Paint by Number Kit. 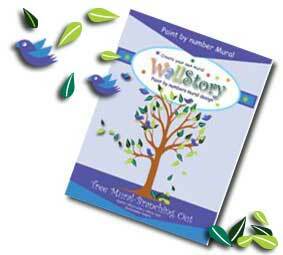 See details of the Paint by Number TREE MURAL KIT here. Leave a comment telling me things you would like to see on this DIY kids room decor blog. 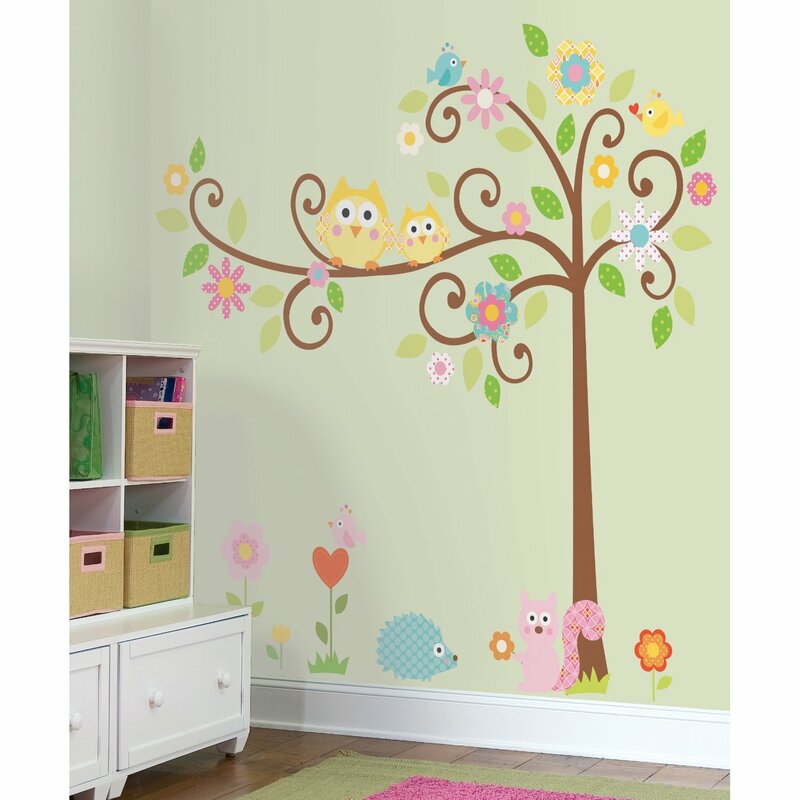 You will then automatically receive a 20% Discount on any of Wallstory Murals and be entered into the Tree Mural Giveaway. Your 20% voucher will be sent to you by email. 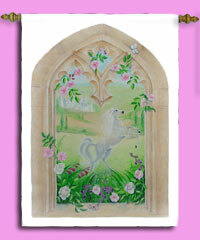 The winner of the Tree mural will be picked at random and announced on Wednesday 7th April 2009. 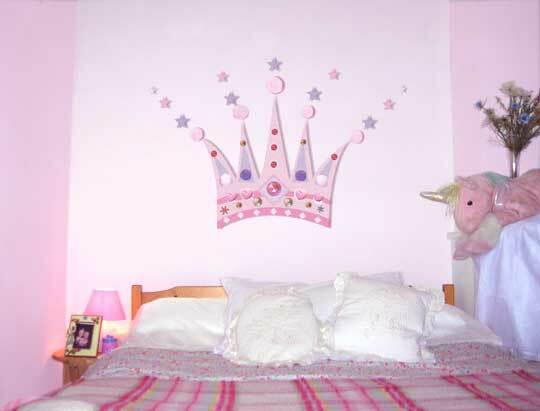 My Princess Crown E-mural has been so successful, I have decided to make it into a paint by number pattern to make it that bit easier to create for your little princess’s bedroom. It’s a paint by number mural , so you don’t need to even think about where to paint the colours. 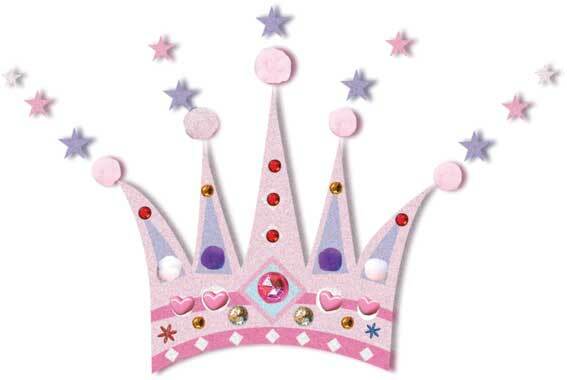 Plus you can still add 3d elements to make a glittering crown collage. 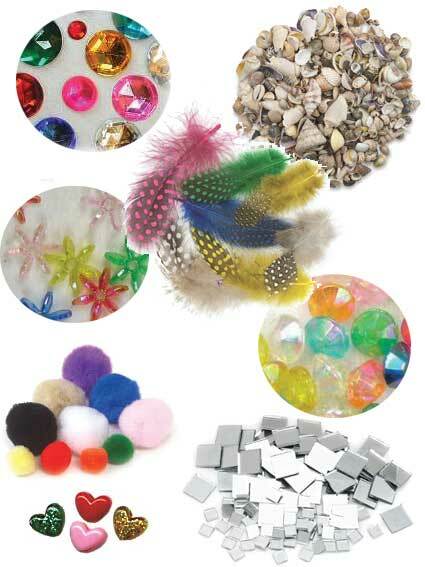 Add pompons, stick on jewels, sequins, hearts, whatever takes your fancy in the craft store. Let your little girl choose and stick on some of these treasures. It’ll make it that little bit more special to her, and make it totally unique. The kit comes with the crown pattern sized 74cm wide x 60cm high, Transfer paper and instructions.